Peace and tranquility nestled in the majestic pines. This year round use cottage has been well cared for over the years and is in move in condition. 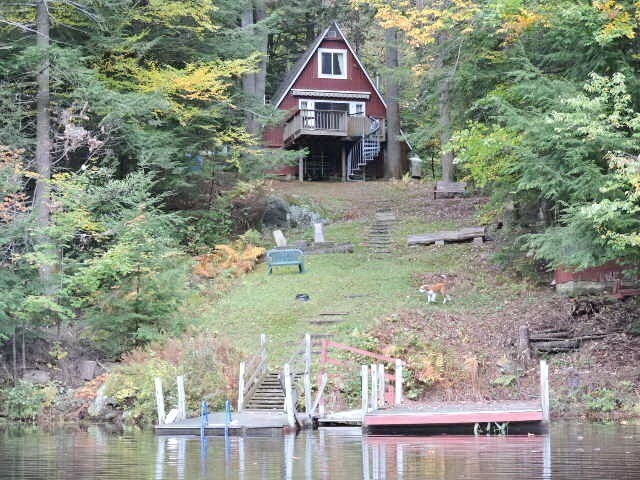 Beautiful view of your own private water frontage with two docks on the lake. Newer roof and drilled well. Good parking and easy access to the cottage. Large slider doors to the deck with water view. 3 bedrooms and 1.5 baths. This is a great property to have your friends come for a visit any time of year. ©2019 Lin-Wood Real Estate, Inc. All Rights Reserved. Coldwell Banker® and the Coldwell Banker Logo are registered service marks owned by Coldwell Banker Real Estate LLc. Lin-Wood Real Estate, Inc. fully supports the principles of the Fair Housing Act and the Equal Opportunity Act. Each franchise is independently owned and operated. Any services or products provided by independently owned and operated franchisees are not provided by, affiliated with or related to Coldwell Banker Real Estate LLC nor any of its affiliate companies.